How is Fit Logic Functional Medicine & Weight Management Different? It’s no secret that what we eat plays an important role in our health. If we are going to change the way we eat, we have to change the way we think. 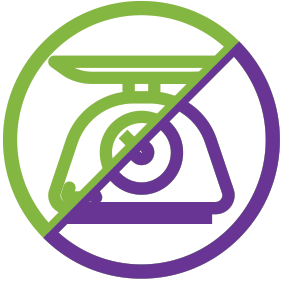 At Fit Logic Functional Medicine, you may be happy to know – we do not focus on calories and portion sizes. Instead of calories, we teach you mindful decision-making. You will be provided individualized learning tools for what works for you. You will learn to make healthy, sensible decisions that will last a lifetime, instead of following a diet for 30 days or 21 days. You will learn what your diet is. And you will have continued support and accountability.